Westhills Toastmasters Club would like to congratulate Bob Gibennus on achieving his Distinguished Toastmaster (DTM) Award. 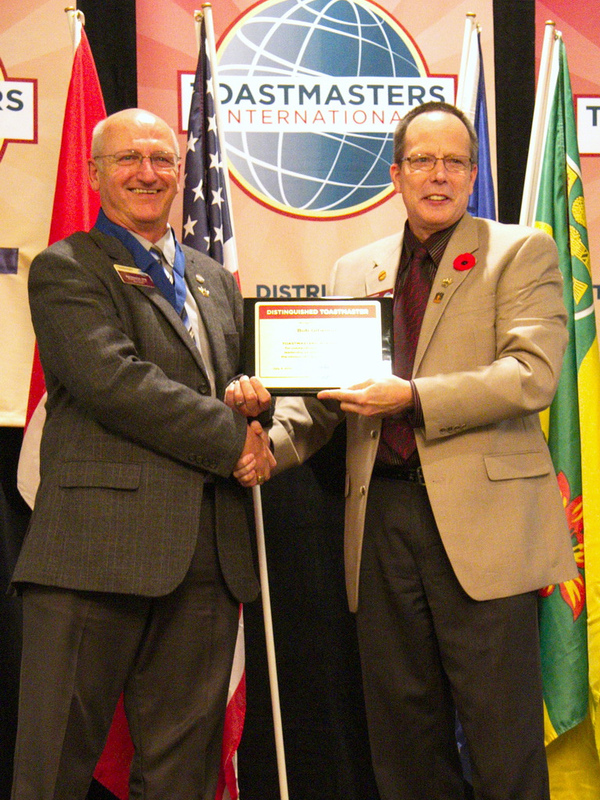 Bob was presented with his DTM Award by our District Governor, Chuck LeBlancat at the District 42 fall Conference in Edmonton. The DTM Award is the highest educational award available in Toastmasters and fewer than 1% of people who join Toastmasters ever achieve this level.